It's about time. This could reduce direct costs to society in the form of health care, and indirect costs associated with work absenteeism and lost productivity. It could also open up more revenues for companies who sell products with nut ingredients, the article rightly recognizing nut allergies as a "market barrier." But, is there a downside to "franken-peanuts"? Perhaps, but is anyone complaining about the size of giant strawberries lately? If we can tolerate genetic modification to turn what used to be a small berry into a multi-bite plum-sized fruit, hopefully there will be few side effects to peanuts that kill less people, provided these geneticists get this right, and I hope they do. One problem I can readily appreciate is, how would I know if this restaurant or that dessert item includes the allergen-reduced nuts in their ingredients? 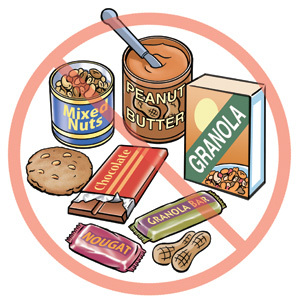 The danger is that people might be lulled into a false sense of safety and eat something they might previously have avoided, trusting that the ingredients included the allergen-reduced nut, and finding much to their chagrin that the nuts used were reaction-causing. I only hope, however, that whatever virtue is left in a free market would sort this out naturally; that demand would skyrocket for the allergen-reduced foodstuffs, and suppliers would align their supply accordingly, thus effectively eliminating the reaction-causing nuts from supply through sheer force of concern for profit.